Adding to their growing list of FAA Approved products available in support of the world’s Cessna Caravan fleets, Airforms, Inc. has announced FAA PMA Approval for door hinge halves for Cessna 208 & 208B aircraft. The hinges are approved in two configurations – standard hinge halves and hinge halves with replaceable bushings installed. Airforms bushed hinge halves are also direct replacements for the OEM hinges. Both standard and bushed hinge halves are available in nine part numbers. 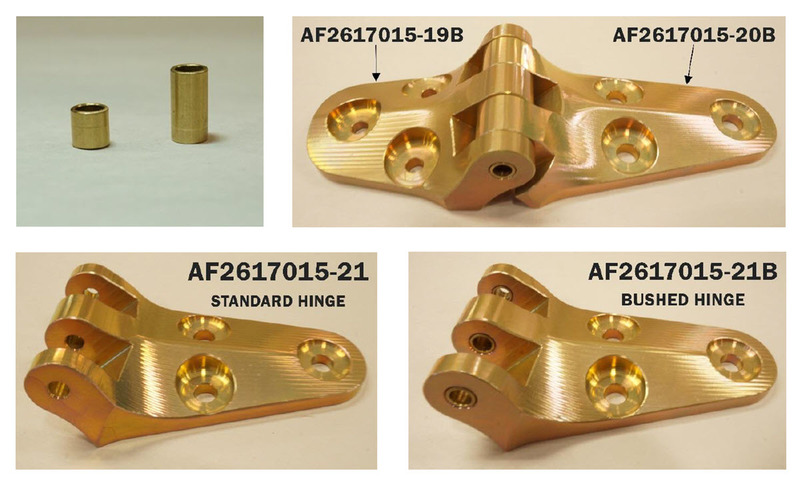 Airforms also offers two part numbers of FAA PMA Approved bushings that cover the replacement of bushings in the hinge halves.